12 precise spray settings with 3 spray patterns. Has 60 ml/L setting for dormant spray application. Push valve to OFF. Set dial for mL/L listed on concentrate label. Pour liquid concentrate into bottle. For wettable powders refer to instruction booklet. Select one of the 3 spray patterns on the front nozzle. To stop, push valve to OFF. Turn water off at faucet. Pour unused concentrate back into its original container. To clean: Rinse bottle and cap, refill with water and spray at same dial setting as used for 2 minutes. Insect, weed and disease control. Use with Wilson products. 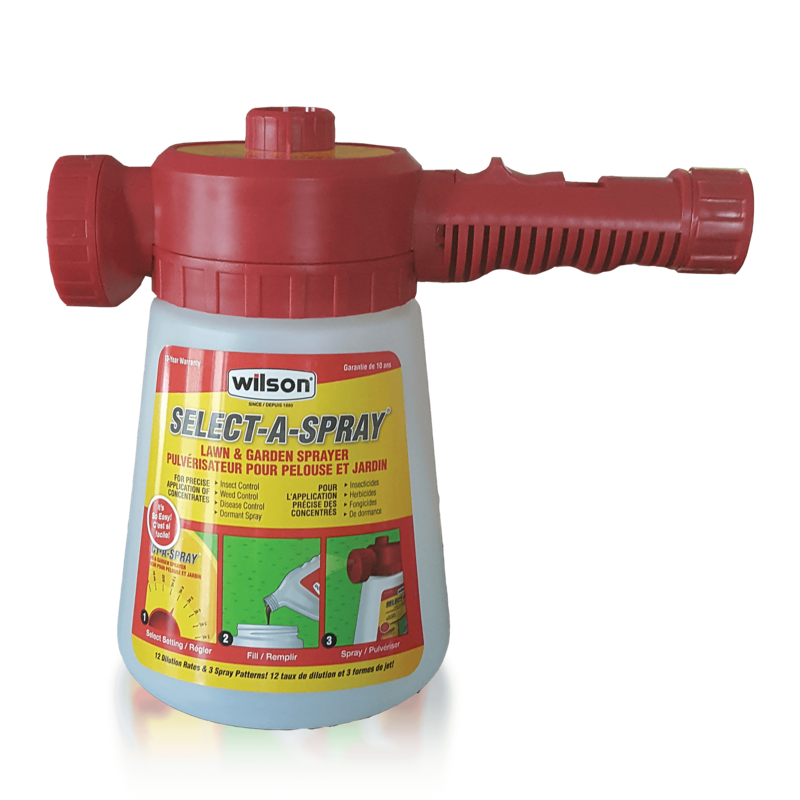 Use 2 separate sprayers for weed control concentrates and insect control products.